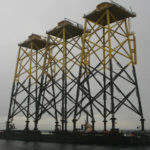 With competence in special offshore wind foundations, OWEC Tower offers detailed design of offshore substructures, as well as pile design, feasibility assessments and selection studies, conceptual foundation design studies, substructures for wind turbine generator (WTG) prototypes, and more. OWEC Quattropod® is a complete wind turbine substructure, which includes a transition piece and jacket foundation. Based on 40 years of offshore structural design experience, OWEC Quattropod®’s innovative design is suitable for larger turbines, deeper water and demanding soil conditions. Fabrication friendly and proven for serial production, the OWEC Quattropod® is designed for efficient installation and has a remarkable adaptability to different concepts such as suction buckets, hybrid gravity based solutions and drilled piles. In addition, the substructure is focused on interfaces, including wind turbine, manufacturing and installation requirements. 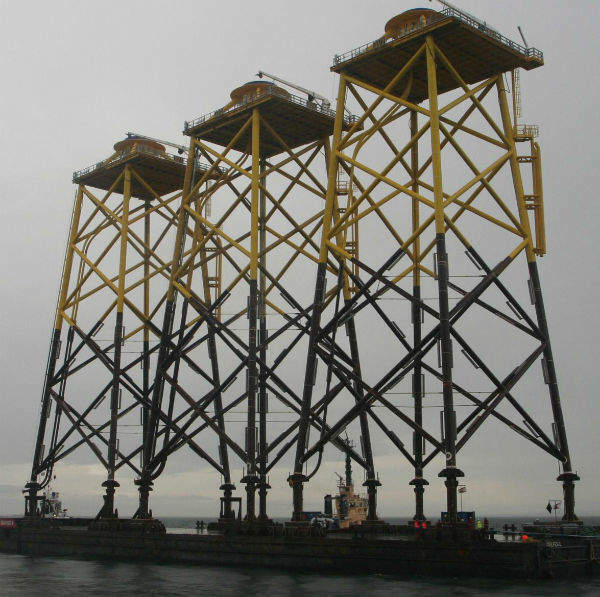 OWEC Quattropod® is the only wind turbine jacket foundation designed, certified and installed offshore, in addition to being the only proven substructure with pre-installed piles. 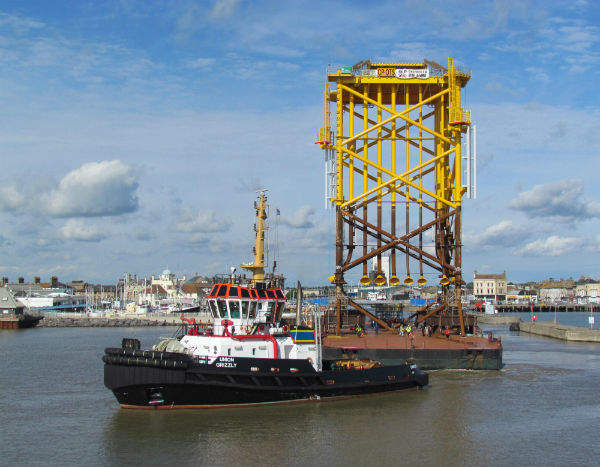 Its most recent deployments were the Ormonde Offshore Wind Farm project with 30 foundations installed in the Irish Sea; and Thornton Bank Phase II, with 48 units and 1 Offshore Transformer Station situated in Belgian waters. Demand for clean energy has led to the offshore wind industry expanding rapidly and when you consider the benefits, it is easy to see why. 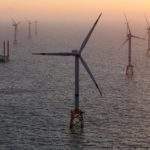 Around 1,000MW of offshore generation capacity has already been installed, and the European Wind Energy Association is estimating that by 2020 at least 20,000MW will be in operation in the EU. 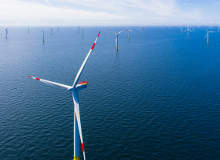 It is also predicted that offshore wind farms have the potential to generate five times the present global electricity production. 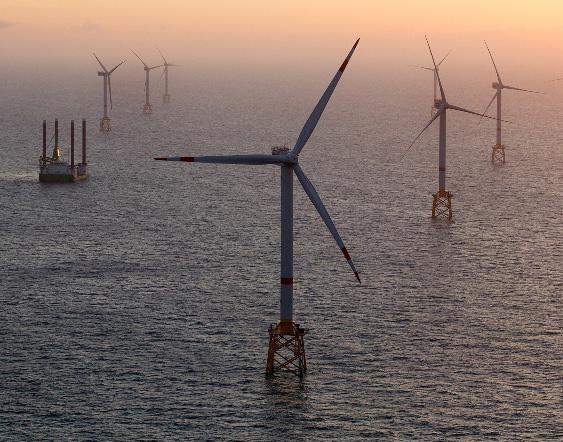 With stronger and more stable wind resources, offshore wind farms can be operated in large, open areas, with no noise restrictions, using larger wind turbine generators, typically up to 10MW and therefore producing more energy. 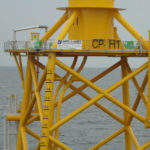 Wind farm developments are moving to deeper waters and larger wind turbines. The OWEC Quattropod® is well-positioned for these challenges and the company’s exclusive dedication to offshore wind substructures will be of high value for project developers. OWEC Tower has an established track record of working on many high-profile wind farm projects and studies. These include Beatrice, Scotland; alpha ventus, Germany; Ormond, UK; Thornton Bank II, Belgium and Le Carnet, France. 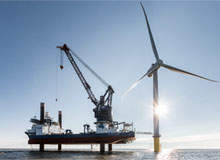 Projects have been delivered to A2Sea, Alstom, Bifab, DEME, Deepwater Wind, GE, Hochtief, Iberdrola, Innovent, MT Højgaard, Norsk Hydro, NorWind, Norther, ODE, Poweo, REpower, RWE, Smulders, Statkraft, STX, Talisman, Tecnova, Vattenfall, Vestas, Havsul, WPD and Samsung. OWEC Tower is an eco-friendly company, working in accordance with ISO 14001. With a team of dedicated, committed and highly qualified technical personnel, the company is passionate about contributing to smart growth in the renewable industry from its hands-on offshore wind experience and a deep understanding of oil and gas practices. OWEC Tower designs according to health and safety criteria such as Construction and Design Management regulations in the UK. As your experienced, knowledgeable and valuable partner from the start, with a deep awareness of the offshore wind supply chain, OWEC Tower provides efficient and proven designs that take into account constructability and installation constraints. OWEC Tower’s advanced designs have become a reality in several projects, including pre-piling, midsection loads transfers, production methods, installation methods, engineering approaches, and more. We look forward to making innovations in your new projects. OWEC Tower has an extensive study portfolio and can offer studies for a varied range of wind turbine types, including units up to 10MW. This assessment can involve any type of wind turbine foundation concept (monopiles, tripod, gravity based), and it is carried-out in cooperation with other leading specialists. Conceptual foundation design studies (including preliminary pile design) are also offered and are generally based on the OWEC Quattropod® concept, which can also be adapted for three-legged jackets. 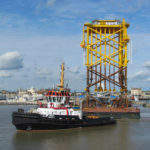 OWEC Tower has experience of working on demo and test sites for offshore wind projects e.g. 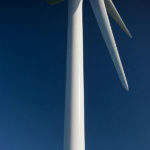 The Beatrice Wind Farm Demonstrator Project for Talisman and SSE. 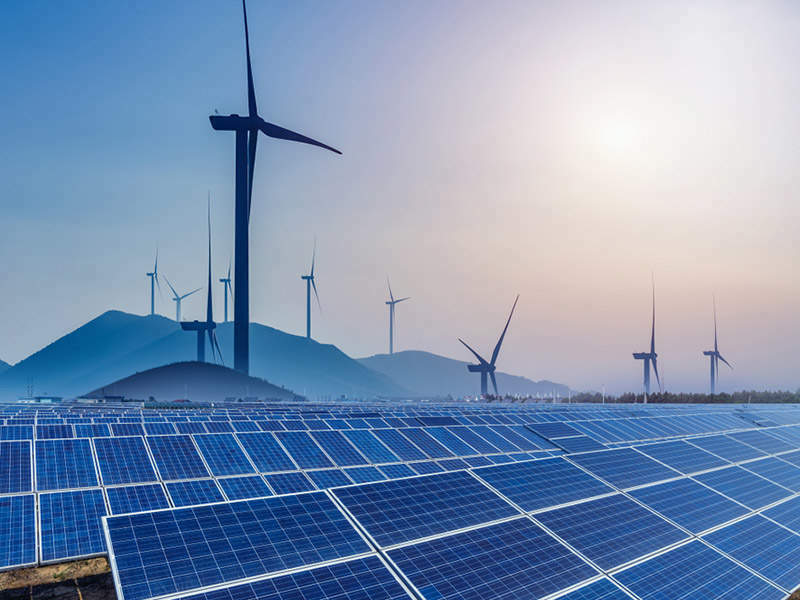 Also, the company has designed a jacket foundation for the Haliade 150MW-6MW wind turbine from Alstom in Le Carnet, France, and demonstrated its ability to simplify the design process as much as possible to suit the project schedule. However, OWEC Tower was still able to provide innovation on the midsection of the prototype to avoid the use of expensive fabrication items with long lead times such as castings. 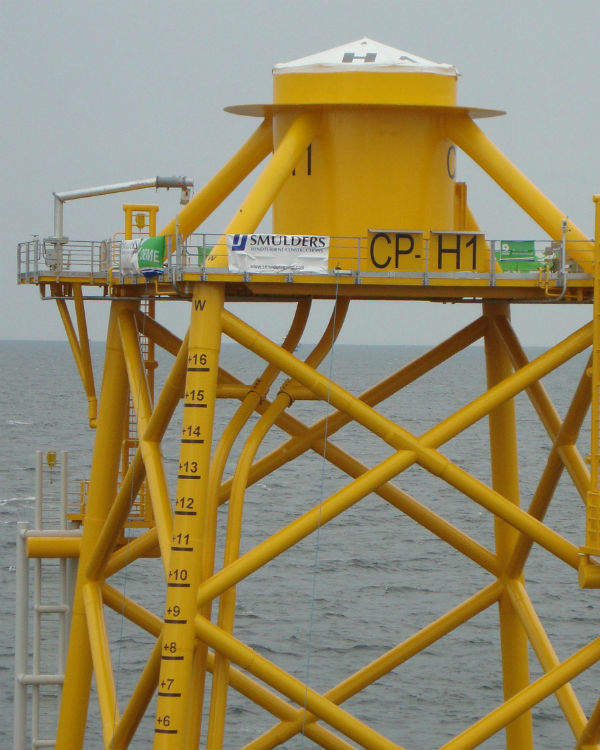 In addition, OWEC Tower provides offshore foundations such as utility modules, met masts and offshore transformer stations (OTS). OWEC Tower provides interface management with the manufacturing yard, wind turbine manufacturers, electrical designers, transportation and installation planners, on-site engineering, certification processes and HSEQ coordinators. 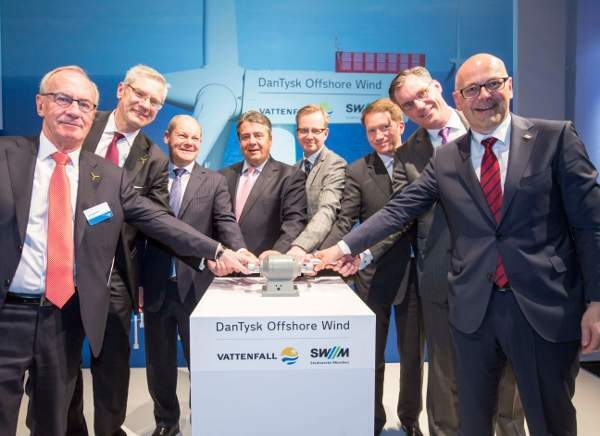 The 288MW DanTysk offshore wind farm is located approximately 70km west of the island of Sylt, on the German Danish border in the German North Sea.